An England youth international, Lee joined Tottenham Hotspur as a schoolboy, eventually earning a full professional contract in July 2002. 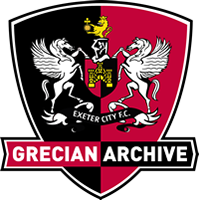 After featuring in Spurs’ reserve team, Exeter City, who had endured a troubled start to the season which ultimately ended in relegation from the Football League, signed Barnard on loan in November 2002. The 18-year-old striker only made three appearances for the Grecians against Boston United (his debut), Cambridge United and Bury, but failed to hit the target, and returned to White Hart Lane. He then had subsequent loan spells at Stevenage Borough (4 appearances, 1 goal) in March 2004; Leyton Orient (8 appearances, 0 goals) who he joined in November 2004 and Northampton Town (5 appearances, 0 goals) in March 2005. Barnard made his long awaited first team debut in the Premier League with Tottenham Hotspur when he was introduced as substitute against Manchester United in April 2006, which proved to be the first of three league outings. 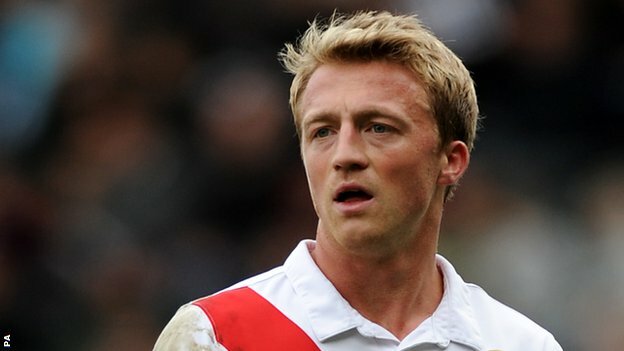 The player was loaned once more, this time to Crewe Alexandra in two separate spells during 2006-07 where he netted 3 goals in ten league appearances. Southend United completed the signing of Barnard in January 2008 for an undisclosed fee and scored nine goals for the club in his first season at Roots Hall. He moved to Southampton in January 2010 for an undisclosed fee. On 18 August 2012, he joined Bournemouth on loan until 1 January 2013. On 31 January 2013, he joined Oldham Athletic on loan for the rest of the season. On 24 January 2014, he rejoined Southend United on loan until the end of the season with a view to a permanent transfer in the summer, when his contract at Southampton expired. On 17 May 2014, Southampton announced that Barnard would be released. It was subsequently revealed that Barnard had signed a one-year contract with Southend at the same time as signing his loan deal, he was released by Southend United in June 2015. On 28 July 2015, Barnard joined Crawley Town on a one-year deal. Barnard only scored once in 28 League Two games for the club. In June 2016, Barnard dropped down into non-League football, signing for National League club Braintree Town. In June 2017, Barnard dropped a division to join rivals Chelmsford City.